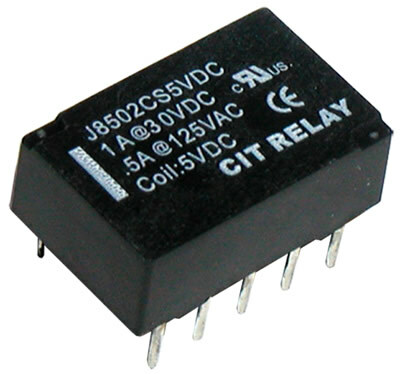 The J850 Series relay component is an ultra-low profile, monostable relay. The contact arrangement is 2C with coil voltage ranging from 3VDC up to 24VDC and coil power of .14W or .20W. Dimensions are 14.0 x 9.0 x 4.9mm. UL Agency approval is E197851.